If you liked this show, you should follow Eloquently Speaking Radio NWK. God Is Preparing You and Deliverance Is Available To You were our opening songs for this message by Author Gertrude Nelson. The foundational scripture for this message is Philippians 4:13 I can do all things through Christ which strengtheneth me. Are you pregnant with purpose? Are you have birthing pains? 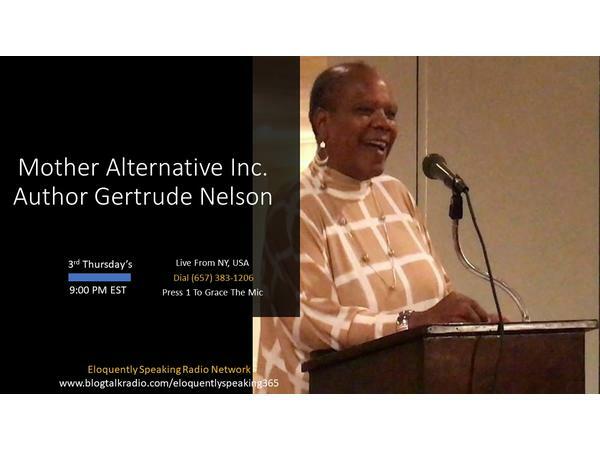 Be blessed by this message by Author Gertrude as she shares an excerpt from her book and transitions into the message that God gave her to share. Thank you and God bless you!